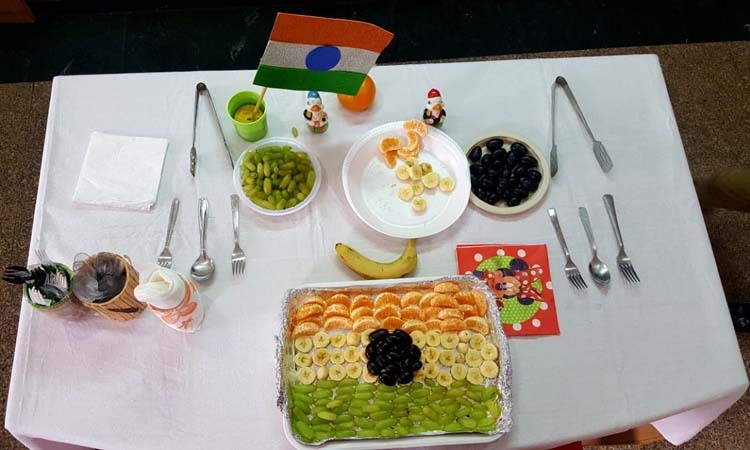 The 70th Republic Day of India was celebrated at K.R. 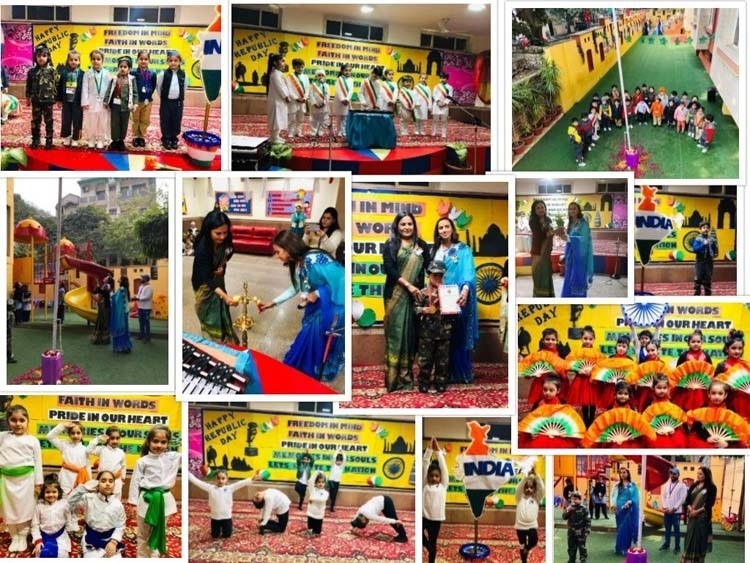 Mangalam World School Paschim Vihar on 25 January 2019 with a great deal of patriotic zeal and fervor. The celebration commenced with welcome of our respected Principal Ma’am , Ms.Priya Arora by the school band playing patriotic tunes followed by hoisting of our Indian tricolor flag .The tri-coloured helium balloons were released in the air by principal ma’am to celebrate the freedom of our country. Further, to mark the importance of this day, a small cultural programme was organized in the school premises by our little ones, which included Lord’s prayer, Welcome speech in English, Bengali, Punjabi and Hindi languages, patriotic song, yoga drill, fan drill , patriotic dance and a scintillating performance by our little skaters .Medals were also given to winners of “Mad Over Race” Competition. The students took pride in glorifying and celebrating the spirit of unity by their performances. The audience were enthralled by the mesmerizing performances of the tiny tots. 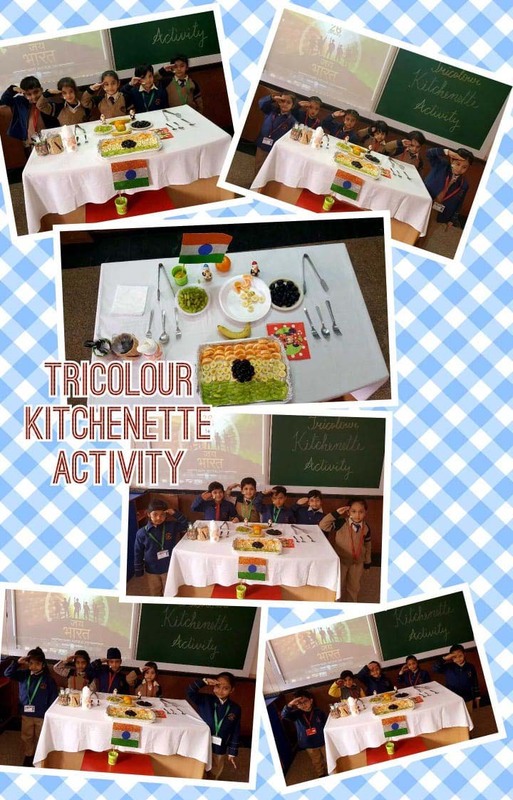 The students of Pre-School and Pre-Primary actively participated in various creative activities throughout the week such as –Kitchenette Activity where they prepared a tricolour flag using different fruits and relished with their friends. 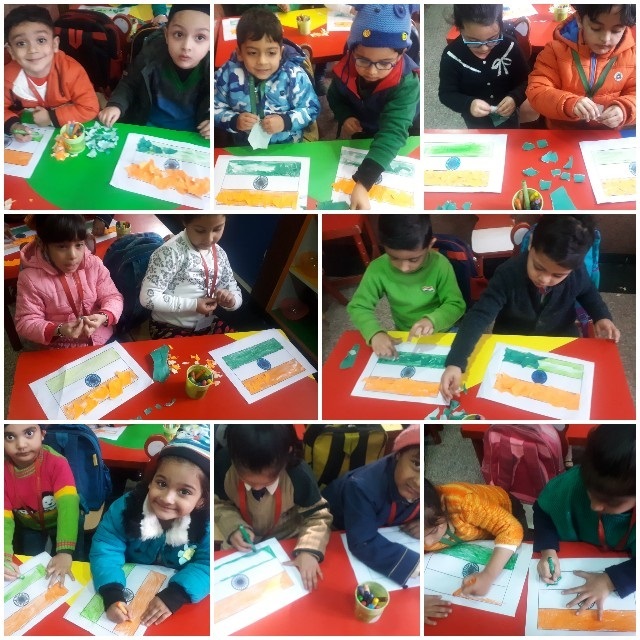 They enjoyed tearing and pasting activity and made beautiful tricolour Indian flag .They also did craft activity and made beautiful tricolour wristbands , with the help of their teachers. 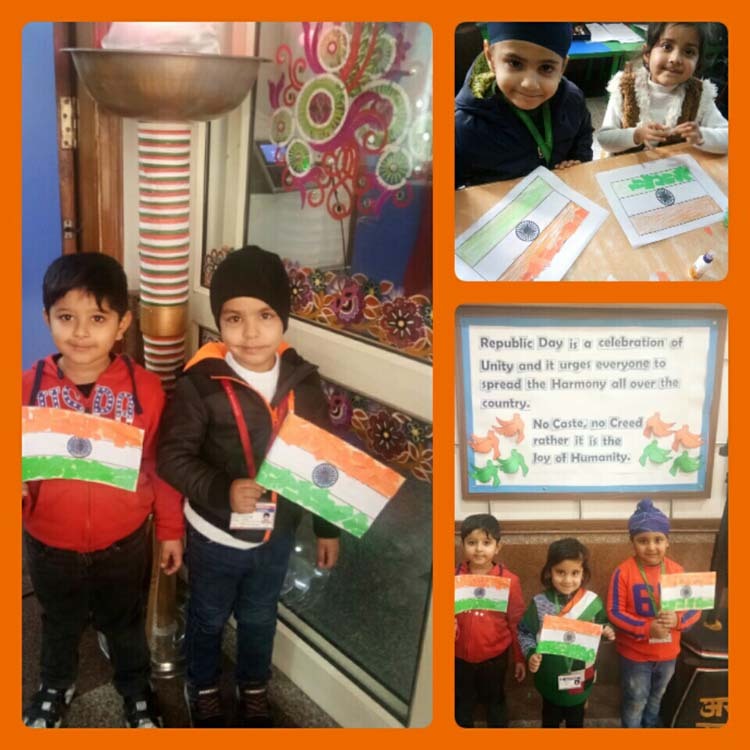 The children came dressed up as different freedom fighter for the role play activity to remember the freedom fighters who laid their lives for the motherland .Each class celebrated this day with great gusto towards their country and its constitution .The children were also briefed about the significance of each colour of our national flag where in, Saffron stands for Courage, White stands for Peace and Green stands for Prosperity. All the children actively participated in all these activities, which enhanced their creativity and motor skills. Overall, it was a fun filled learning and enjoyable week for the tiny tots. 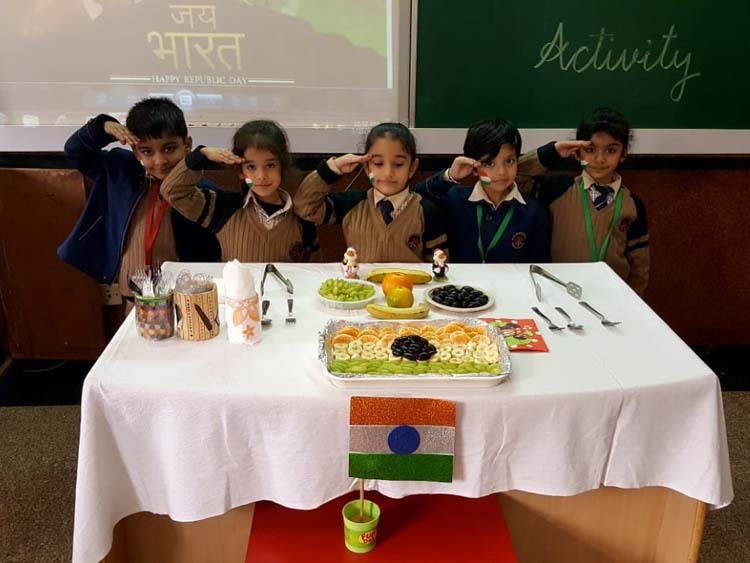 The little Mangalites celebrated the day with great enthusiasm honouring the constitution of India.